At Après Furniture we specialise in the manufacturing of custom made furniture of the highest quality. 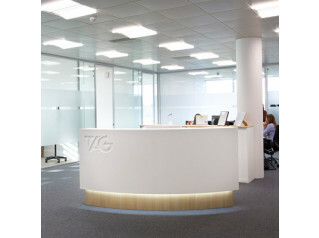 With our made to measure furniture, quality is absolutely key and by working closely with some of the UK's best furniture designers and manufacturers, we can custom design furniture to satisfy your individual needs. 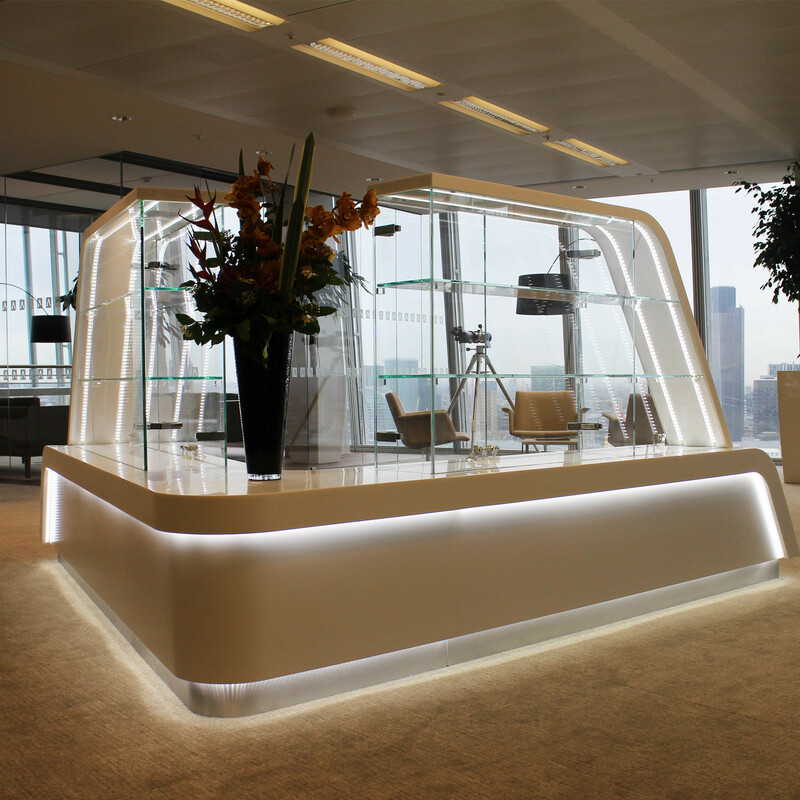 The beauty of bespoke furniture design is that you get to choose precisely what you want - we provide the expertise to bring your concept to life. 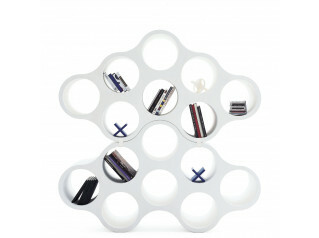 We can of course make suggestions, such as which materials to use, for your tailor made design. Custom Made Trophy Cabinets are the perfect way for you to display your prizes, awards, cups and medals. 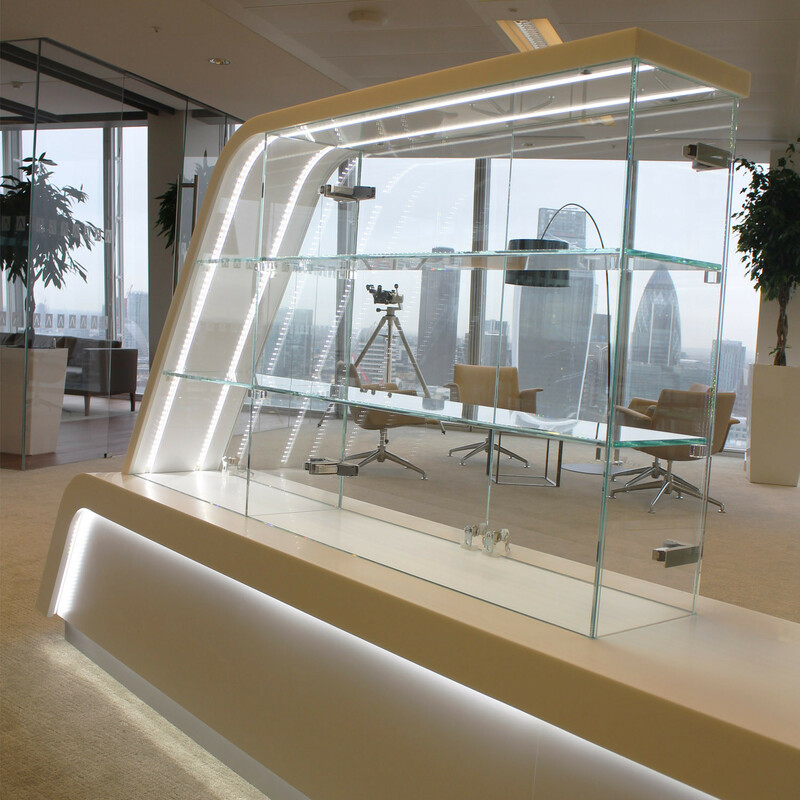 We recently produced a custom made trophy cabinet unit which was designed for a Financial Institution's offices in The Shard, London (pictured). 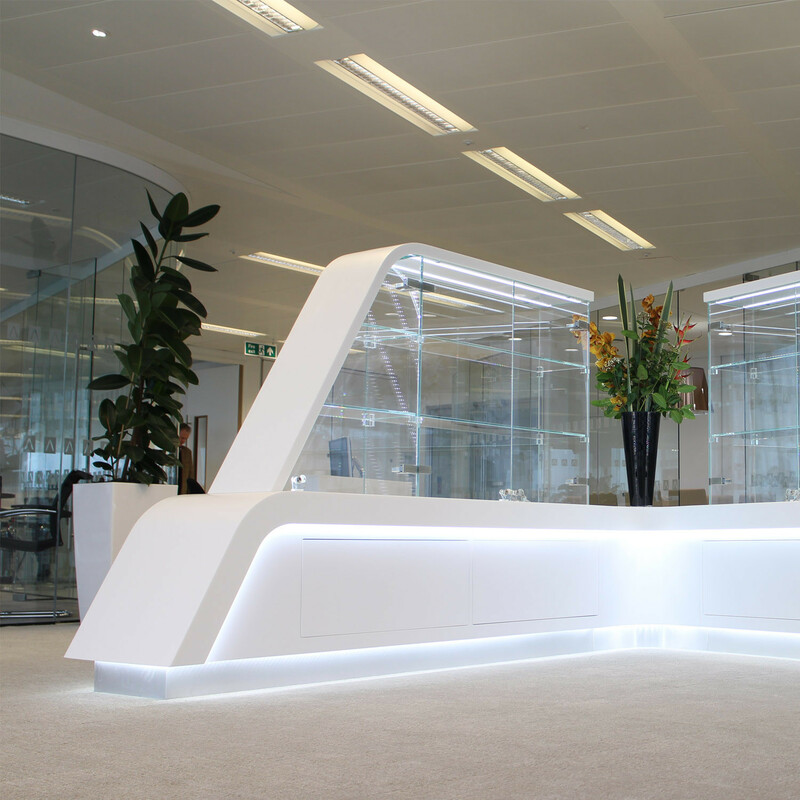 We utilised high quality white Corian® for the base, with two angled canopies rising up and overarching to continue the smooth curvaceous appearance. 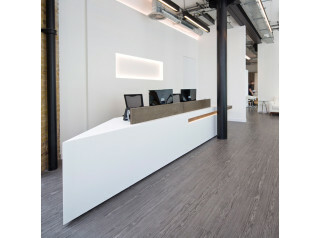 Corian® is a premium decorative surface material, composed of acrylic polymer and alumina trihydrate, derived from bauxite ore. 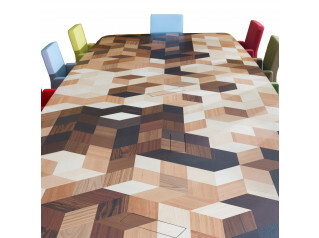 It is non-porous, stain resistant and provides a seamless joint thanks to its composition - a signature characteristic. 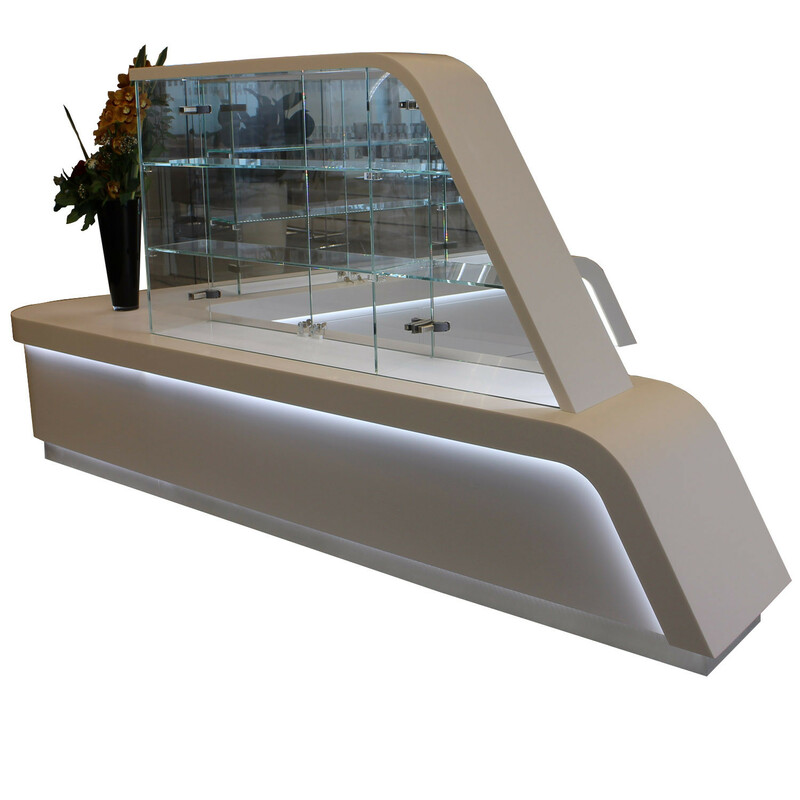 The specially produced curved canopies housed the all-important display shelving. 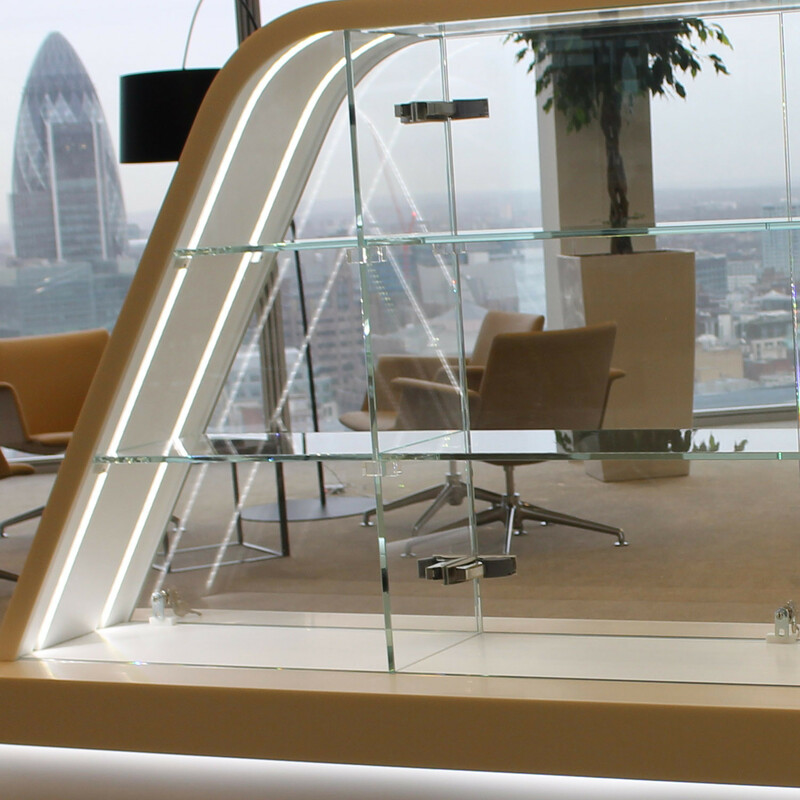 The transparent shelves were made with UV bonded clear toughened glass supported by UV bonded blocks. 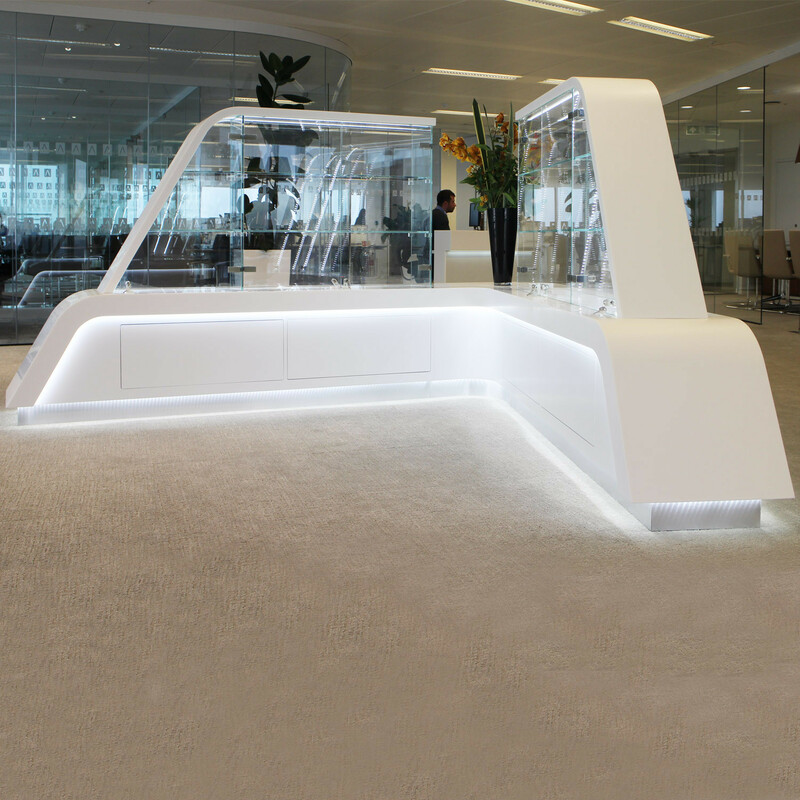 The material allows light to pass through, adding a sense of space, as well as providing the ideal platform to exhibit the client's possessions. 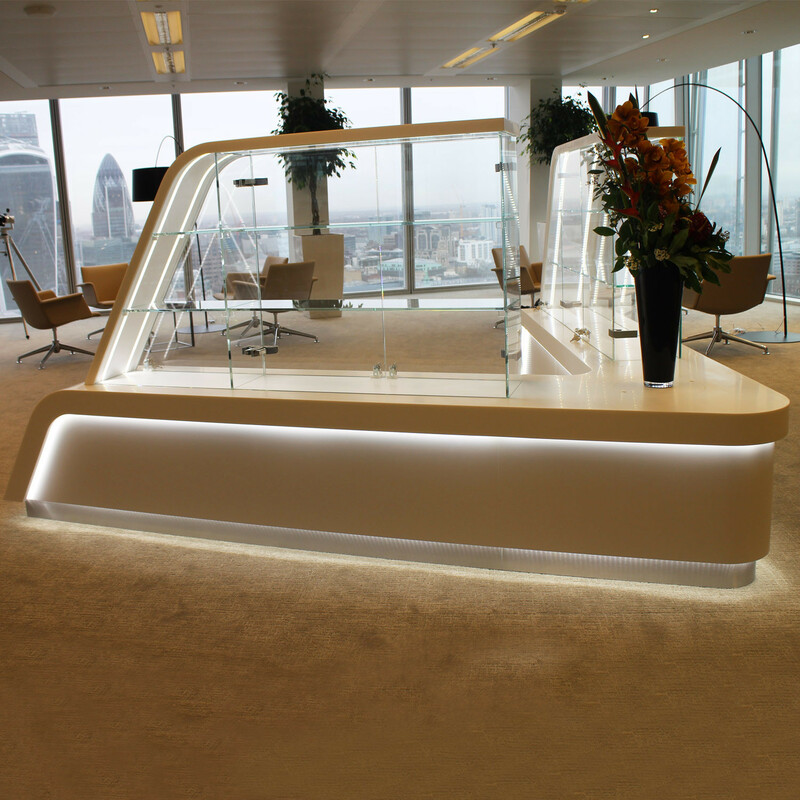 Finally, for this unique, elegantly styled and beautifully finished display unit, we employed bright white LED lighting that produced an impressive illuminated display, perfectly complementing the other materials. 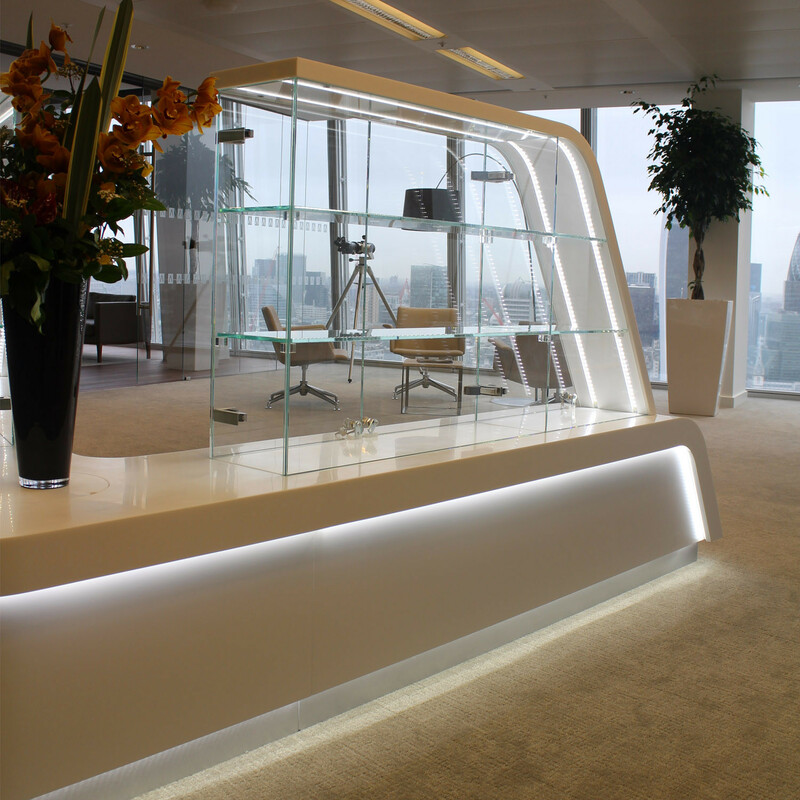 The result is a modern custom made display cabinet which is, unavoidably, a statement piece; a cynosure of design. From conception to completion, our designers will arrange to meet with you to help develop and create your own bespoke trophy cabinet. No matter how many awards you have won, how many medals shine or trophies sparkle, we can build you the perfect custom made trophy cabinet. You are requesting a price for the "Custom Made Trophy Cabinets"
To create a new project and add "Custom Made Trophy Cabinets" to it please click the button below. To add "Custom Made Trophy Cabinets" to an existing project please select below.